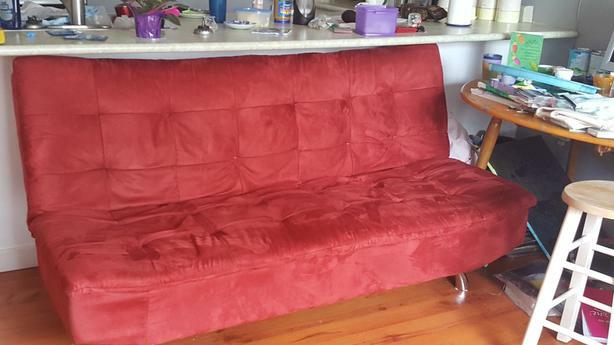 Beautiful couch, folds out to a bed. No holes, tears. I do have a cat. Unable to deliver, pick up only.